Before digging into this review, I think there it is important to go over the release details that New Balance has offered on the silo, as it gives you some in-sight into how they perceive the boots. Then I’ll offer up my slightly different take. The Visaro 2.0 is engineered for creative players who excel in possession, defense-splitting passes, creating space and assisting their teammates. 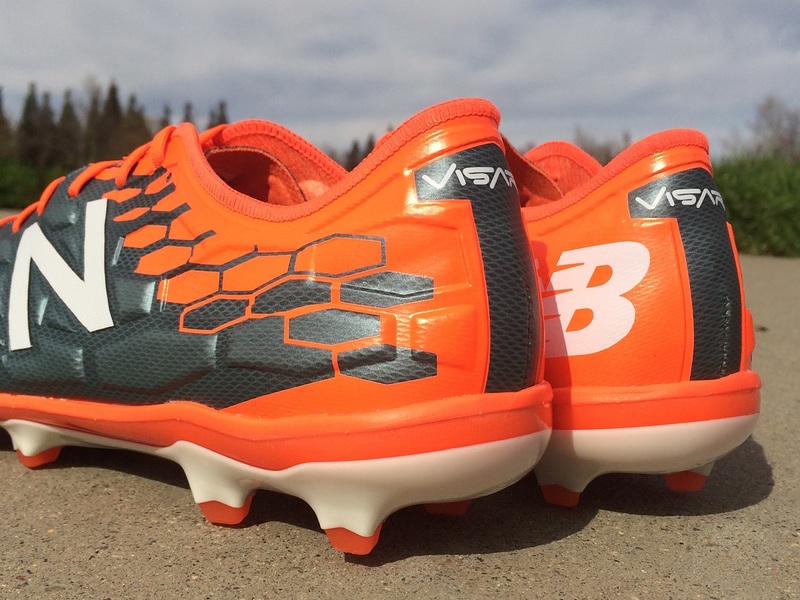 They attain the comfort, stability and control features that are synonymous with the Visaro range. Data driven Hexaprene control and strike zones, an athlete inspired pro form last, and one piece form-fitting moccasin construction deliver ultra-precise long and short passing, and game changing invention. Data driven multi-directional stud placement, an engineered soleplate with lightweight chassis, and Fresh Foam midsole unit all contribute to outstanding dynamic maneuverability and enhanced comfort. 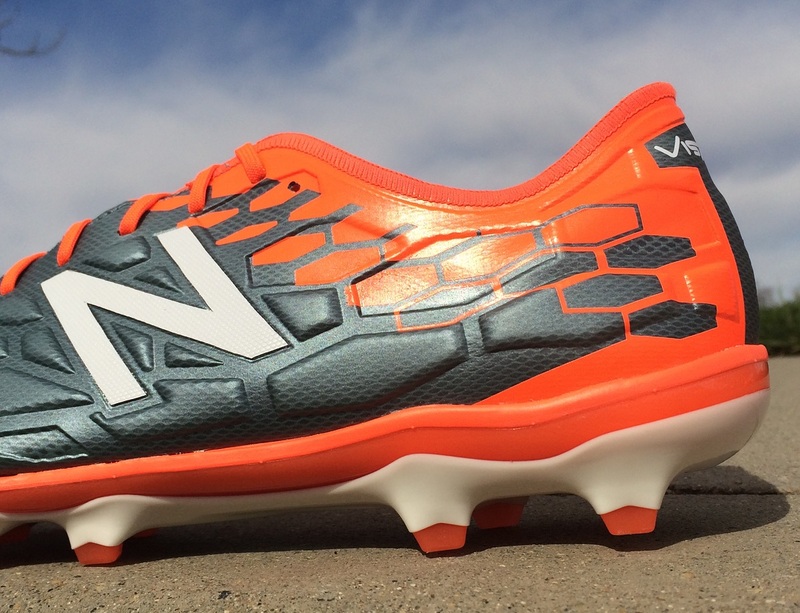 Find the latest Visaro releases available at soccer.com. Visually, these are a very busy boot that have a lot of definition right through the upper. 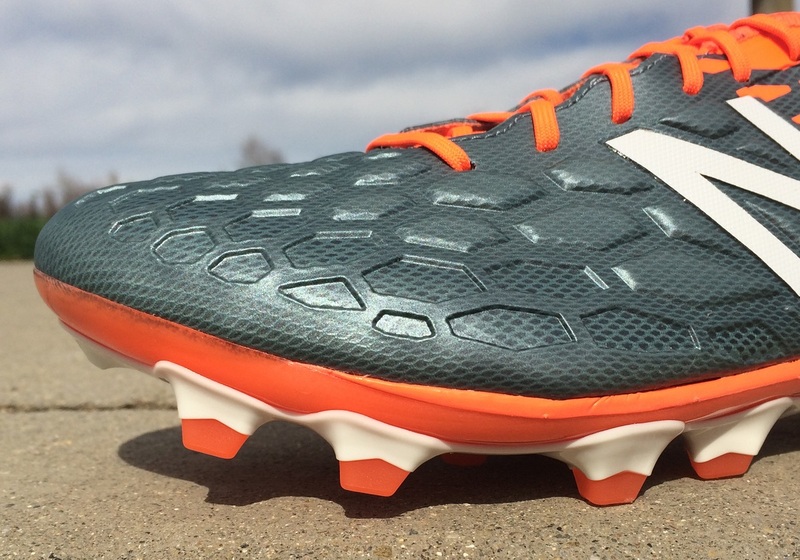 The Visaro 2.0 has that sort of WOW factor that grabs your attention when you see them at first. Built for creators, I’d also label them as somewhat of a power boot, using added elements through the upper to enhance striking. A lot of the fundamentals found on the original stay in place, with NB adding some new pieces to take them to another level. But, how does that actually play out in reality? The material New Balance use through the upper is a synthetic with areas of foam placed underneath. Each individual area has been researched and developed through testing, ensuring you get a different feel from whatever region of the boot you are using to strike the ball. 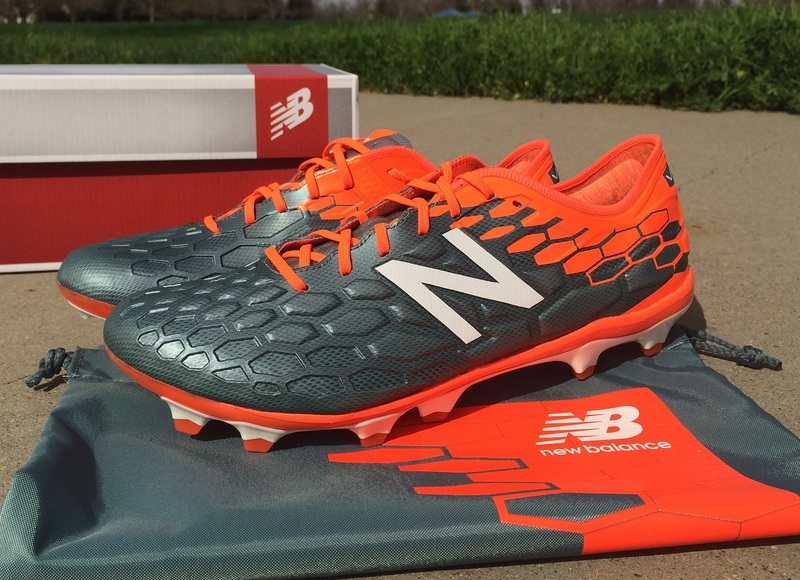 First thing to note here is that New Balance has got the zones right on this boot. They have absolutely nailed the areas down and used perfect amounts of foam material in the areas where they are needed most. And I love the process they undertook to determine individual regions, where Aaron Ramsey wore white boots and performed different types of passes/shots using soccer balls covered in colored paper. The colors coated the different regions of the boot, giving them the opportunity to label each region. If anything, this is a modified CTR360 Maestri style, with softer foam along the instep for controlling passes and a firmer region through the strike zone for getting extra pop on shots. In a lot of online places, the upper is actually referred to as “moccasin”, but that is not entirely true. Moccasin refers to the use of a leather upper, but here the upper is a synthetic. So, New Balance are referring to style rather than materials. What they are trying to emphasize is the fact the style is a 1-piece upper (with no stitching) and the fit mimics a moccasin shoe where the sole is soft and flexible and the upper is intended to stand out. Again, going off the above, the zones on the boot are correctly constructed and positioned. In terms of how the boot feels on foot, well it is not as good. In order to ensure you are able to take advantage of each individual region, New Balance has gone with a stiff synthetic material. It is really like a thin layer of plastic that has a rigid feel and doesn’t conform or mimic foot shape. The size you get from first wear is how they will be after extended wear. For striking shots, you get a real nice ping, with the ability to add a little extra spin via the offset polygon panels. The added definition offers regions that can wrap around the surface of the boot. And the instep is beautifully constructed, with foam panels offering a little extra cushion as you look to control passes out of the air. Basically, if you want a boot that offers different properties for different ways you kick the ball, without emphasizing a molded shape, then they are a solid option. 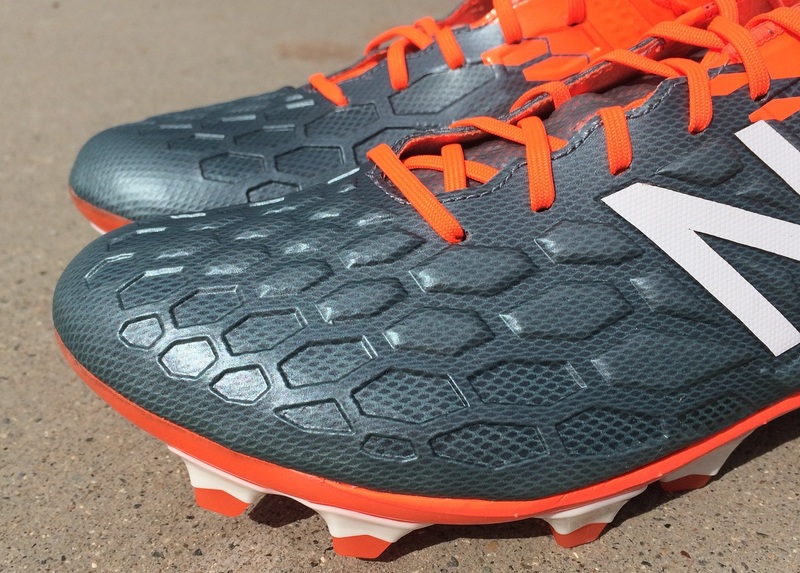 There are several key areas of the boot where New Balance has tried to focus on improved comfort. Take for example the soleplate, where they use “Fresh Foam” as part of the Super-Flex design. This is the same style they use in their running shoes, where a foam material is placed between the built-in insole and the soleplate. So you basically have three layers of material between your feet and the ground. To the touch, the insole is very solid, not like other insoles with a spongy feel. There is very little squish to the Fresh Foam design. 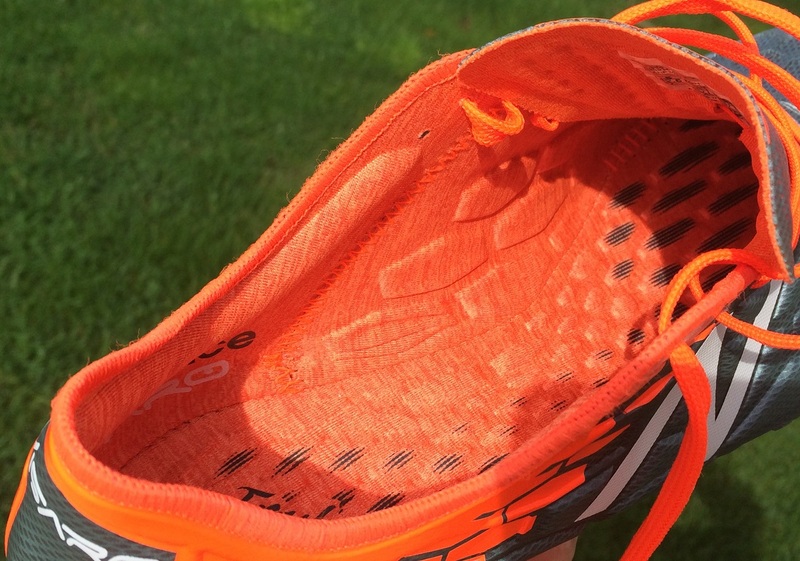 But, when you actually run on them, the middle layer of foam compresses and reduces the amount of stress under foot. My experience with them was like this. In a standing position, there is a pretty solid feel to the sole. It is almost like standing on a wooden board. But, as you run on them you don’t have the same feel, as the foam starts to compress in stride. It worked well, but not as well as other insoles, like for example what Under Armour have on offer. 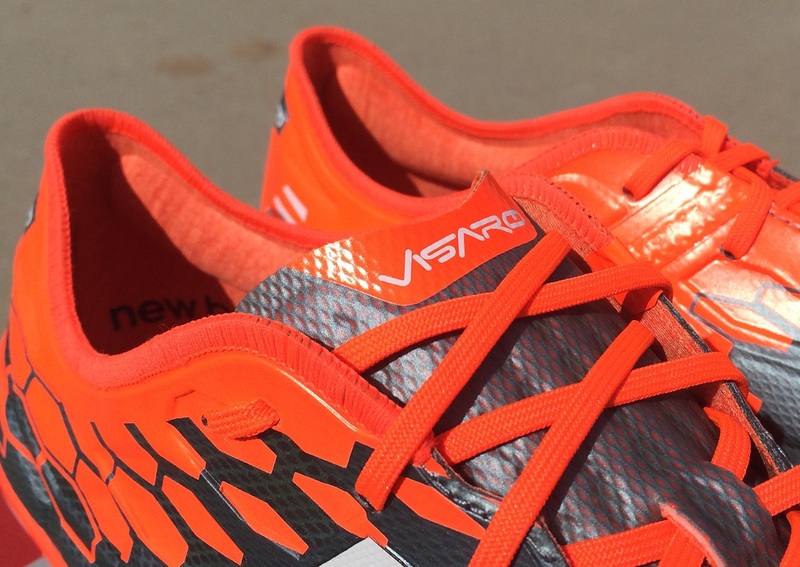 Here, New Balance rely on something that is proven for runners. But, running insoles are not what soccer players need, especially where increased cuts and turns on grass is concerned! Underfoot, New Balance use a very unique configuration that is intended to provide sold traction through important dynamic movements. The frame itself is pretty rigid, as New Balance intended. From first wear, they are stiff and there is little bend. You really have to wear them in to get a natural underfoot feel. The last brand to try a similar design was adidas on the Nitrocharge, and that quickly faded away. Along the inner regions, four studs feature a polygon shape, while the studs on the outer side match the feel studs with a triangular shape. There is also a jagged tooth right on the front lip to help grab the surface as you cut. When broken in, they worked well on AG and FG surfaces. So, the actual configuration is pretty solid. Length wise, true to size. Width wise, very odd. 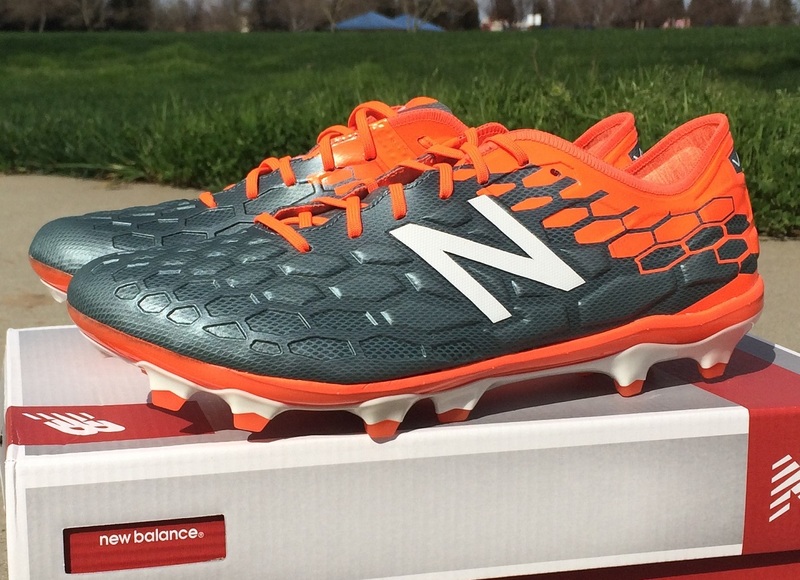 Again, New Balance stick to their weird footbed designs, where the contouring seems all wrong. Basically, the shape bends from your small toe into the big toe, where the instep is cut pretty straight from heel to the big toe. It is a very defined design that leaves you with extra space on the outer portion of your big toe, and the material pressed up against your little. Even with the extra room, I’d rate them as a medium width, simply because a wider foot would have to be misshapen to fit into the extra space. And even with that extra space, I had to loosen the laces to reduce pressure on my big toe ball joint. If you take a front view of the Visaro compared to something like, for example, the Magista Obra, you can clearly see how they angle up to a wider big toe opening. 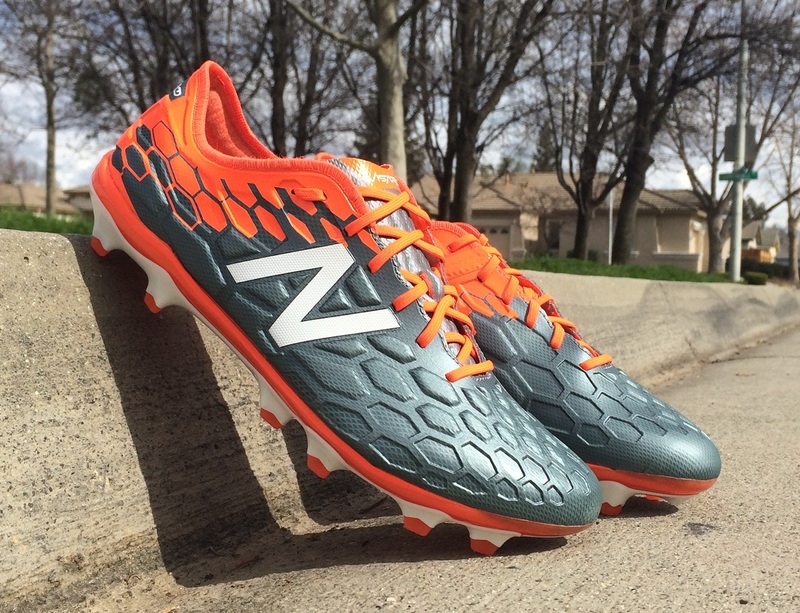 In saying all that, New Balance has released a wider fitting option that you can find at soccer.com. I haven’t experienced these boots, or seen them in person, but they are an option you can consider. Who in the world is testing these boots and approving them for release? I mean, seriously, is there a pro player offering feedback that these boots are 90 minute game worthy? When you compare these to a modern release from Nike, adidas, Puma or even Under Armour, they are so far behind in overall quality. The shape of the upper is wrong, the materials through the upper are far too rigid and the soleplate feels like it is made out of a hardened plastic. For a brand like New Balance, who excel in the running shoe category where comfort is key, they under perform in the soccer arena. For their initial set of releases, it only makes sense to give them the benefit of the doubt on trying to create something new that works. But, this is the second generation and expectations are high. These don’t deliver! If success is to be found, NB need to go back to the drawing board and simplify the overall design. Highlight: An updated “creator” boot that features foam through the upper in specifically designated regions for improved control and strike power. Would I Buy Them: Unfortunately, I wouldn’t. If they were on sale and you want something different, they are worth checking out. But don’t go into it with high expectations. Player Position: There is a very versatile feel about these, because of the supportive upper and the designated touch and control panels. You get added protection, with the ability to use the upper foam upper for striking and controlling the ball in different play situations. So, I’m labeling these as an “every position” option! That is an important part for sure. Unfortunately, we can't spend the same amount of time long term that you would with your boots, so it is difficult to accurately summize how durable a boot is long term. Where possible, we will include commentary on any important durability factors.